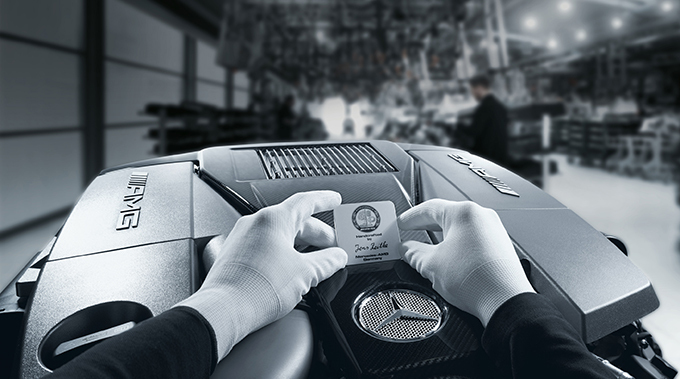 Mercedes-AMG celebrates its 50th anniversary in 2017. To the theme of “50 Years of Driving Performance”, the sports car and performance brand is marking the occasion by extending the AMG GT family of sports cars with the new Mercedes-AMG GT C. “With the AMG GT C, we are now expanding our portfolio of sports cars to six models plus the AMG GT3 customer sport racing car. In under three years, the second vehicle to be developed by us entirely in-house has grown into a family,” says Tobias Moers, Chairman of the Board of Management of Mercedes-AMG GmbH. “We are kicking off our anniversary year with the exclusive Edition 50 model of the new AMG GT C Coupé. We are also taking this opportunity to refine the AMG GT and AMG GT S both visually and technically,” says Tobias Moers. The new models are identifiable by the distinctive AMG Panamericana grille, which is now shared by all AMG GT models. Underlining the motor sport heritage, the grille features 15 chrome-plated, vertical bars which echo the look of the latest Mercedes-AMG GT3. The new front apron emphasises the car’s width, making it sit flatter on the road. The large outer air inlets guarantee the supply of cooling air to the engine. AMG GT and GT S: Fuel consumption combined: 9.6–9.3 l/100 km; combined CO₂ emissions: 224–216 g/km. Mercedes-AMG is restructuring the range of output and torque variants of the 4.0-litre V8 biturbo engine. Hence, the AMG GT entry-level model now puts out 350 kW (476 PS), i.e. 10 kW (14 PS) more than before. In addition, with 630 Nm, the basic version of the eight-cylinder machine now delivers an extra 30 Nm of peak torque for even greater tractive power. The output from the GT S grows by 9 kW (12 PS) to 384 kW (522 PS), with the peak torque climbing 20 Nm to 670 Nm. The next level is marked by the C variants of the Coupé and Roadster with 410 kW (557 PS) and 680 Nm peak torque. The top of the line is the AMG GT R with 430 kW (585 PS) and 700 Nm of torque. AMG GT R: Fuel consumption combined: 11.4 l/100 km; combined CO₂ emissions: 259 g/km. The AMG GT C Roadster will now be joined by a Coupé version of the same model line, positioned between AMG GT S and AMG GT R. Like the Roadster unveiled in Paris, the new AMG GT C, too, impresses with further-enhanced driving dynamics. The new vehicle will launch in the form of a special Edition 50 model. Like the AMG GT R, the new member of the family is identifiable by its broad, muscular rear end and large wheels. Other technical measures include the wider rear track and active rear axle steering. AMG GT C Roadster: Fuel consumption combined: 11.4 l/100 km; combined CO₂ emissions: 259 g/km. 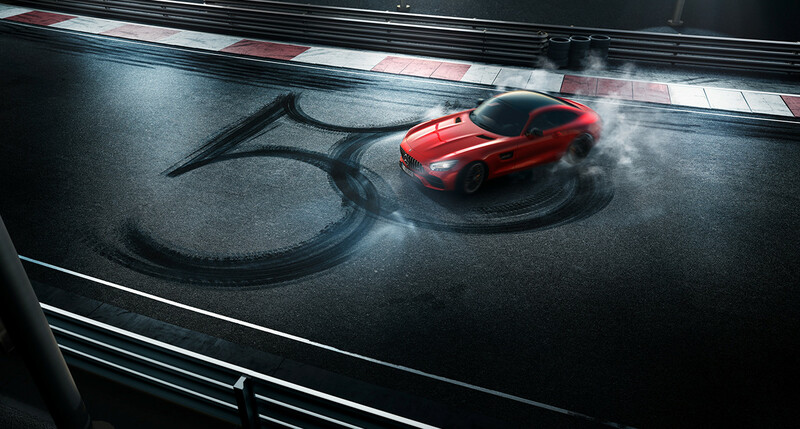 The AMG sports suspension also confirms the motor racing heritage of the AMG GT family. Wishbones, steering knuckles and hub carriers on the front and rear axles are made entirely from forged aluminium to reduce the unsprung masses. In addition, the wheels are located by double wishbones. The resulting camber and track stability allows high cornering speeds while giving the driver optimum, highly precise road feedback right up to the very high critical cornering limits. In the AMG GT C, the AMG RIDE CONTROL sports suspension is combined with infinitely variable, adaptive adjustable damping. The electronically controlled system automatically adapts the damping on each wheel to the instantaneous driving situation, speed and road conditions. The new Mercedes-AMG GT C responds even more sensitively thanks to the standard-fit active rear-axle steering, which made its debut in the Mercedes-AMG GT R.
The new AMG GT C will launch as an exclusive special Edition 50 model to mark the landmark year of the company, which was founded in 1967 and will celebrate its 50th anniversary in 2017. The Edition 50 will be available in two exclusive special paint finishes: designo graphite grey magno and designo cashmere white magno. To give the exterior a distinctive look, black chrome highlights are applied. The surface of the cross-spoke AMG forged wheels has been harmonised with the black chrome elements of the exterior. 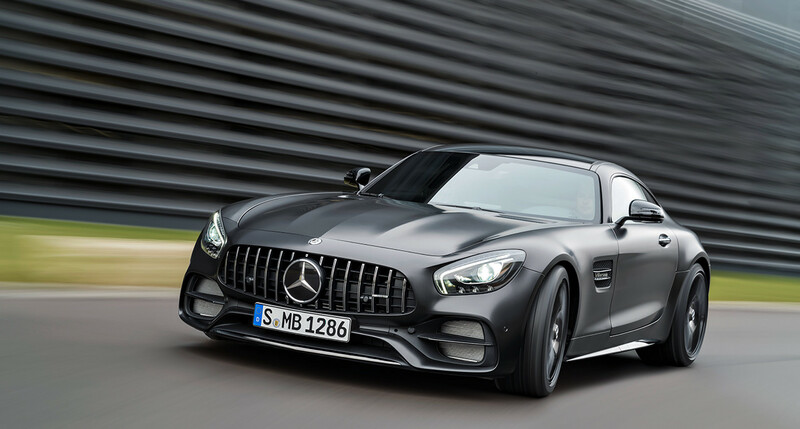 In addition to a technical upgrade courtesy of active aerodynamics, higher output and torque or active rear-axle steering, the update of the AMG GT model family also includes significant additions to the scope of equipment. The new equipment packages include the AMG Exterior Chrome package with trim in high-gloss chrome and the AMG DYNAMIC PLUS package, which is now also available for the AMG GT. The AMG Interior Night package, which comes as standard in the AMG GT R, is now also optionally available for the other coupés of the AMG GT family. The motor sport heritage is further visually accentuated by the AMG Exterior Carbon Fibre package which uses high-grade sight carbon fibre for the front splitter, side fins on the air outlets in the front wings, exterior mirror housings, side skirt inserts (AMG GT C only) and rear diffuser.